To see my interview with Featured Artist Eloise Schneider, click here. Eloise’s rustic paintings, prints, giclees, and canvas prints have the classic beauty and style of antiques. 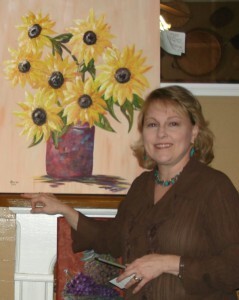 Her paintings and prints on canvas include landscapes from the Georgia, Texas, and Alabama countryside. She also paints on old wood, combining history with art, as she incorporates antique jewelry, tools, hats, musical instruments or frames into her creations. Eloise has been featured in Lee Magazine and Sunshine Artist Magazine as well as in newspapers and on television and has won numerous awards. Eloise accepts commissions where she designs original art paintings to accommodate family pieces (Grandpa’s old watch, for example) into memory paintings. 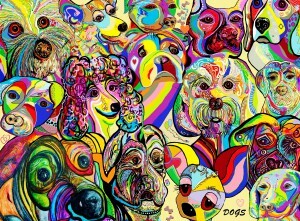 Eloise originals can be found at both Fairhope Connection galleries in Fairhope and Orange Beach, Alabama. Other Eloise originals are also sold at the Hotel Defuniak Art Gallery in Walton County, Florida, as well as Nook and Cranny in Defuniak Springs. In Georgia, Eloise originals on antique china pieces can be found at the Steffan Thomas Museum of Art Gift Shop in Buckhead, GA; Doodlebugs in Statesboro, GA; and the Twin City Pharmacy and Gift Shop. Eloise originals are also displayed at the Cotton Patch Bakery in Portal, GA.
An educator herself, Eloise was one of the illustrators for the I Can Say That book, winner of the Early Language Literacy Award. Eloise also illustrated the book Jesus is Born, written by Brenda O’Quinn and published by Synerge Books, found at http://www.synergebooks.com/ebook_jesusisborn.html. Eloise also paints fine art pieces that encompass gorgeous landscapes, flowers, cotton fields, floral arrangements, and other delicate and detailed works. Her playful side lends a hand in her creation of fun art – striped cats, fat pigs, big lipped fish, and curious cows. Eloise Schneider’s art also includes images of Italy, Germany, France, Spain, and Mexico – down by the water, in a village, or near a field in the sunlight of the dawn. 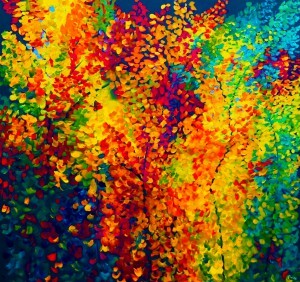 She also paints ships and beaches, trees and forests, and the beautiful landscapes of the good ol’ USA. Faith is important to Eloise as an artist and she develops that belief system into many of her paintings: three crosses at Calvary, the cross on Pensacola Beach that overlooks the bay, children in the hands of God, the birth of Jesus Christ, and others. Perhaps the most unusual of Eloise Schneider’s artwork are her watercolor renditions of American Sign Language. As a teacher of the deaf and other children with special needs, Eloise has a heart for the art that reflects her love for those children. 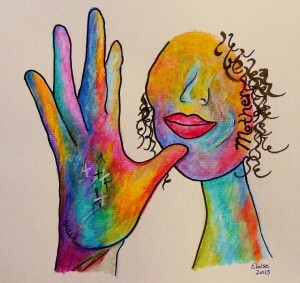 Her painting of the ASL ‘I Love You’ sign is bright and bold, a wonderful piece for a hearing or deaf person to enjoy. The world is grand and love can be too. Eloise’s work is just that: full of love and life.